I was working on this application in my spare time last month. After several attempts to comply with Microsoft’s specifications, I managed to get through their certification process and finally it was published on their marketplace. 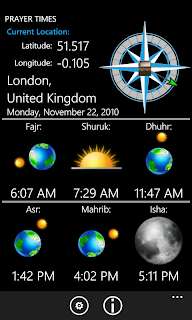 "Prayer times" application displays Muslim prayer times for any location in the world. 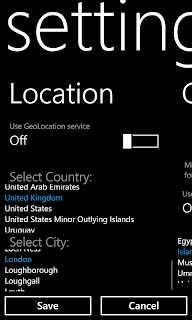 Users can use either Geo location service or select their current location from the list of predefined locations. 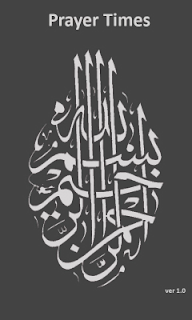 Direction to Kaaba is shown as well.